This is the first part in a series of four articles, which will record my training and preparation for the Spartathlon event. This is undoubtedly my biggest and toughest running challenge to date and one, which I may very well not be successful in completing. The history to the Spartathlon (www.spartathlon.gr) event references the ancient battle of Marathon in 409 BC and re-tells the semi-historical exploits of the Athenian messenger Pheidippides who was sent by his generals on foot to Sparta in order to secure reinforcements for the Athenian forces. He was reputed to have travelled from Athens to Sparta the day after his departure. In 1982, RAF Wing Commander John Foden set out with four colleagues to see if a modern man could travel the 250km distance in 36 hours from day rise on the first day to sun set on the second day. The British group were ultimately successful with John Foden arriving in front of the statue of Leonidas having run for 36 hours and the concept of the Spartathlon footrace was born with the 1st International Spartathlon event held in 1983 and every year since then. My first Ultra Marathon was in 2009 and since then I’ve taken part in about 30 Ultra’s of varying distances primarily around the South of England (typically Thames Path/Ridgeway events with the odd Birmingham to London jaunt) with the last year spent focusing more on 100 mile races. I’m pretty much a mid-pack runner and can generally finish comfortably within the time limits of these races. At the moment everything is feeling comfortable, which says to me I need a challenge. I had a desire to tackle a foreign run, something tough, something challenging and something special. The slick marketing of the MDS event had an attraction but a massive cost and I started to think about the UTMB event but its recent history of poor weather, late re-routing and the necessity of a ballot meant an entry was not guaranteed and the search continued. 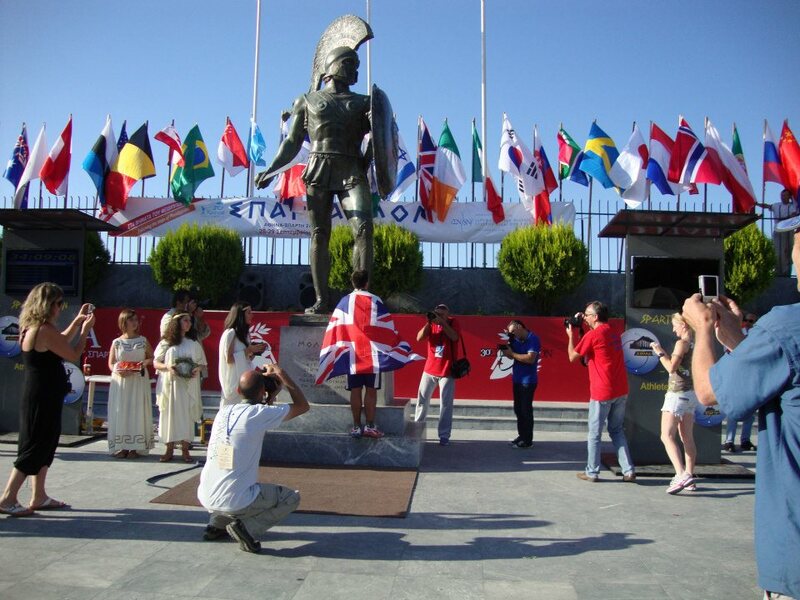 In 2012 several British runners went out and tackled the Spartathlon. Unfortunately the majority were unsuccessful but a few did succeed (including a 3rd finish for James Adams which was reported in Issue 3 of Ultra Tales, James is also leading the British UK team in 2013) but there was a lot of positive talk about how “special” the event felt regardless of the personal outcome of their race. The overwhelming positivity for an event is something, which caught me eye, and something which I hadn’t really experienced since my first Grand Union Canal Run (GUCR). The GUCR is a great race, it is a fairly low-key event, very long and unrelenting although it does have a generous time limit. However, it has a great “family” atmosphere and a welcoming community. The race has been run for a number of years now and almost feels like a tradition in the last weekend of May. On my first attempt in 2010 it was the only race on my mind in the build up and was going to be my personal defining moment of the year (I was arelative novice runner at the time and just about marched home having walked 20+ hours finishing in a completely unremarkable 43-44 hours). In truth, popular culture also had a little sway. The Spartans as a race have been a source of cultural inspiration and I have childhood memories of watching the 1962 “The 300 Spartans” film re-telling the events of the Battle of Thermopylae and many people will have seen the more recent 2007 stylised version “300”. The idea of running towards Sparta and arriving at the statue of King Leonidas at the finish, tired, hot, dusty but having completed a heroic journey like the tales of old has somewhat romanticised the race as an outsider looking in, as I’m sure it has done for many others. Looking into the race further and after reading various blogs and reports I’m under no illusions about the difficulty of the challenge. To put it bluntly there’s a lot of British runners who attempted this in 2012 and were ultimately unsuccessful and I don’t even consider myself as good a runner as most of these people. So if I’m going to have a chance in hell of reaching the statue of Leonidas I need in the words of 2013 Spartathlon entrant Drew Sheffield “to be in the shape of your life”. The only problem is “the shape of my life” is still probably only half the level of ability of some of the people who have tried and failed! To complete this race is going to take some focus for the year but that’s exactly the challenge I wanted with the build up, the challenge and a real fear of failure. My most comparative race is a 39-hour finish at the GUCR in a mild UK summer along flat conditions. This result is simply not going to cut it when trying to finish a 153-mile race in 36 hours with unforgiving temperatures, constant elevation changes and a mountain in the middle and with the added mental pressure of cut-offs every step of the way. It’s all on the line here with this event the greatest threat to my “no DNF” record (yes, still clinging onto that as a mark of achievement). Therefore, for your reading pleasure I’m going to document my build up to the event in each issue of Ultra Tales (and my blog) from now until the event in September and then complete a race report afterwards regardless of the outcome. To those people who are considering this event in the future I’m going to answer the question as to whether an average mid-pack sub 24-hour 100-mile runner can complete the Spartathlon. The website application process came out of the blue. I knew it was due sometime towards the end of January and when the website was open for entries it caught me unaware. I had been getting ready to go to work around 7.30am one weekday morning and switched on my mobile phone and saw a few Facebook updates to say entries were open. I then immediately jumped onto the computer in a panic as I didn’t want to miss out and worked my way through the application process in a rush of activity before I had to leave for work. The website was not 100% clear (I’m still not sure what an “Amateur Association Athletics” form is) but I completed the entry form online, cropped a picture of me at the right number of pixels, screen printed and then scanned evidence of my qualification standard (the 2011 GUCR finish, which was probably the easiest qualification entry) and then waited. As I suspected, the entry limit of 350 applicants filled up within a few weeks (there is now a waiting list of 160 people) and I waited nervously to see if my application had been accepted. Within a couple of weeks I received the email, entry accepted and I had been allocated race number 107. “This sh*t just got real” was my quip at the time. Word soon spread on the usual Facebook and Twitter feeds in terms of who was in and I soon learned that a large contingent of British runners had entered which was fantastic but when I glanced at the names I knew and considered the achievements of many of these runners I felt like I would be the underdog, the comedy side-kick, the person who would be tagging along for the ride but with no expectations of a finish. January was an indifferent month running wise. The winter months of cold days, regular rainfall and hours of darkness were starting to impact my motivation for running. I banked about 200 miles in the month with a couple of 20 mile runs but it was all at a steady pace and I felt as if I was just going through the motions. I picked up the book “Why we Run” and was looking forward to Robin Harvie’s account of the Spartathlon event but it’s fair to say that the book didn’t click with me at all and I skimmed this in a day which was a shame as I had found his earlier summary article in the Telegraph quite enjoyable. And so January came to an end with an entry secured but motivation lacking. My first Ultra event of the year was the Thames Trot, a 48 mile run along the river Thames from Oxford to Henley and my traditional first event of the year. I had run the inaugural Thames Trot in 2009 (my second ever Ultra) and have a small claim to fame as the only person who has taken part and completed the event each year. I like this event as it is local to me and a good benchmark of my fitness at the start of the year. I had finished the event last year in about 8hrs 5mins and was looking to dip below 8hrs as a minimum aim this year. Unfortunately, the event had to be rerouted on roads parallel to the river due to flooding along the route and the event shortened to about 43 miles. The bad news was that I suffered a groin pull due to slipping over in the mud several times. On race day itself I somewhat surprisingly lined up at the sharp end of the field (normally I sit in the middle or back of the pack at the start and take it steady) and shot out with the front-runners who soon disappeared ahead but beating the crowds over the bottleneck at Iffley lock. The race went reasonably well apart from an extra 2 mile detour at the end of the race where I was unfamiliar with the route diversions but completed 45 miles in 6hrs 49mins which compared reasonably favourably to 48 miles at 8hrs 5mins the previous year (admittedly that was in Fancy dress). However, it was definitely an easier route this year with a lot of the route covering tarmac rather than the usual muddy paths so the result was nothing to get too excited about. 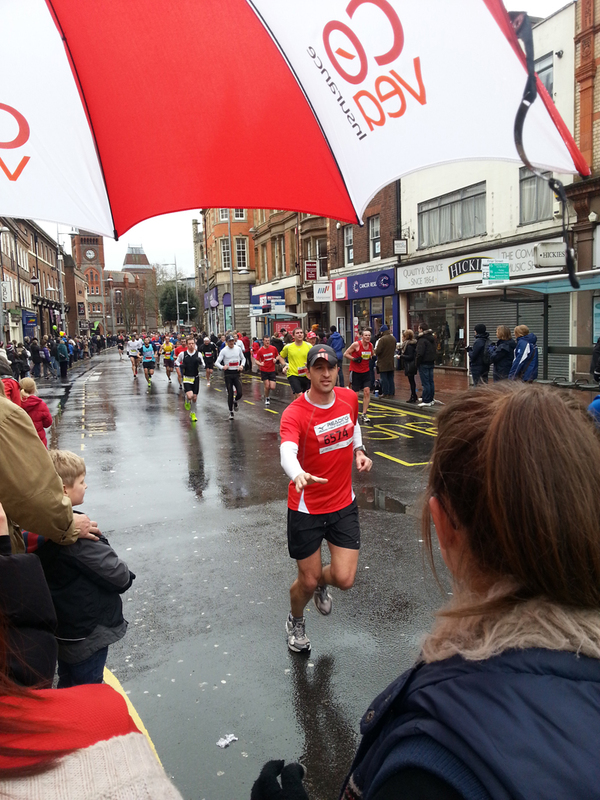 A week later, I took part in the Wokingham Half Marathon. I had been starting the odd interval or hill session and had completed a handful which must have been beneficial as I trimmed two minutes of my Half Marathon personal best in miserable wet weather finishing in 1hr 30 mins 53 seconds averaging about 7m/m for the entire race and only starting to feel it with a few miles to go. I bumped into fellow 2013 Spartathlete Jen Bradley at the end of the race who had finished a minute or two ahead of me. Februarys training was seeing a slight improvement with a few quality sessions being introduced and the week after Wokingham Half I did a marathon distance training run to recce some of the Thames Path 100 route from Reading to Streatley but ended up wading through flooded river banks in several paces and diverting back along the other side of the river before plodding home hours later. I still felt as if I needed to kick start my running and bank a few more miles and took a last minute entry into the inaugural St Peter Ways Ultra organised by Lindley Chambers. It was a pretty tiring weekend for me as I paced my buddy Paul Stout for a small part of his all night Friday night charity 12 hour Park Run (starting 9pm on Friday and running non-stop through the night finishing with the Newbury Park run the next day) and then made the drive from Reading to Elsenham the next evening where Lindley had kindly offered me a bed for the night before the race. That evening Lindley recounted his first Spartathlon attempt last year where he was pulled from the race around the 30-40 mile mark as he hadn’t been moving quickly enough in the heat. It was great to chat to Lindley about the race as I think we are at a similar level of ability in terms of race performances and it was useful to get his insights into the race. Lindley also retold his experience of the weekend in which he described is perception of very basic accommodation, less than spectacular organization for the runners prior to the race but of a fantastic experience for the race itself. In fact, Lindley admitted to a “toys out of the pram” moment when the organisors had mucked up his accommodation plans. In terms of the race itself, the key observations from our discussion were the obvious affect of the heat in 2012 which laid waste to the majority of the British runners and secondly the constant undulation of the route which was certainly not flat at the start at all. I was aware Lindley had already entered for 2013 and asked him directly, “So are you going to finish this year?”. He gave a non-commital “We will see”. The Spartathlon is a race which you have to respect and false bravado is not going to see you through here. 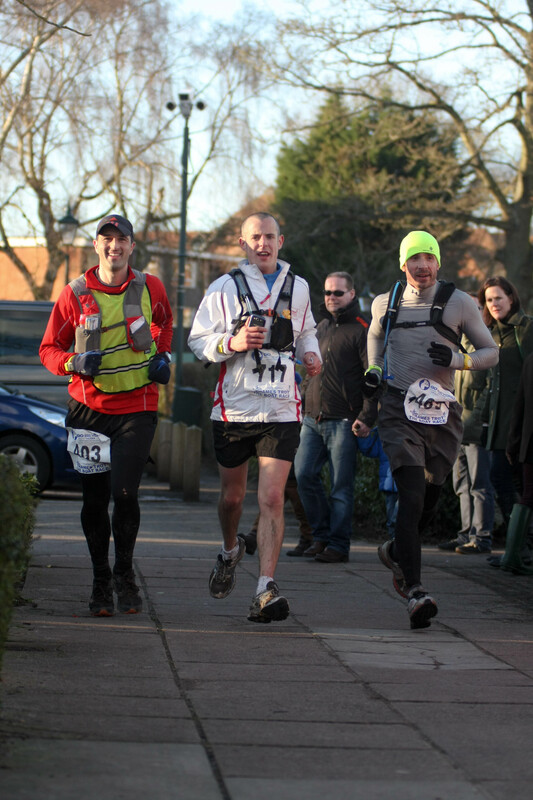 The St Peters Way Ultra was planned as long training run and I deliberately set off at the back of the pack. In fact, I was last after the first mile after an impromptu comfort break. The route does require a degree of concentration and navigation with no obvious land marks in some areas but we had been provided with some specific directions and I had the route loaded onto my Garmin as a backup. I took the run at a steady pace, chatted to a few people on route, made a couple of minor navigational errors but worked my way through the field to a mid-pack position finishing in 7hrs 55mins having covered 42 miles. Another long run banked. The next evening I sat down with my wife (Sal) and we watched the 2012 Spartathlon Race DVD which Lindley had lent me. Aside from looking out for any British runners I knew, it was a great opportunity to see how the event was organised and how the runners were performing first hand. * It was hot! I would have to think about some form of heat training or heat acclimatisation. * Checkpoints whilst regular look very basic and you may want to rely on food in your own drop bags. Certainly some foods being laid out in the heat all day did not look appealing. * I was reminded of Lindleys comment about the hills and the constant up and down which was very evident from the video. I’m no “hill warrior” and would really need to work on this aspect of my running as I’m guilty of always walking the hills in pretty much every Ultra race I compete in. The cut off times at the Spartathlon event do not give you the luxury of this approach as you will simply be timed out. * Finishing the race and running towards the statue of Leonidas looked like an amazing experience. We have had to make some sacrifices this year in terms of family holidays to give me the chance to finance this race which I’m very grateful for. Sals first comment to me was “You really need to do more running if you are going to have any chance of finishing this” (Iicence to run more?) and then reminded me that I had one shot at this event as we certainly can’t afford to do this every year. To be honest, the size of the challenge probably still hasn’t hit home. My mind is saying to me, this is a massive challenge, you need to be fitter, faster and stronger as a runner than you currently are but at the moment that sentiment is yet to really sink in. It’s almost as if I subconsciously think I can “wing it” on the day. February saw 258 miles banked, 2 x 40-odd mile Ultra’s completed and a Half Marathon personal best so a slight improvement on Januarys effort. I looked at the training plan and decided I needed to step it up and I started to aim to move this from my current 60 miles per week up towards 80 miles per week if I could. I was hoping to make a few of the shorter week day runs quality sessions (intervals or hill work outs) and save the longer runs for the weekend. I would also need to put in a regular rest weeks of reduced mileage but as I had a few other Ultra events lined up so this would occur naturally as part of the taper, event, rest routine. James Adams had setup a website to unite the British Runners this year and is looking to develop a team spirit and bond between the UK runners. I also stumbled across the British Spartathlon Facebook page and dropped by to say hello to find out that there are a few more British runners than I was aware of including GUCR legend Pat Robbins, so another quality British Runner in the team. James has already secured some sponsorship for the team with T-shirts and Buff’s courtesy of the ULTRAmarathonRunningStore and Buff which is great. Now, if he can work on some shoes sponsors that would be fantastic as I’m in the need of a couple of pairs of new road shoes. Surprisingly, my Mum expressed an interest in watching the Spartathlon DVD to see what I had set myself up for in September and so we sat down and watched Lindleys DVD again. We watched the runners toiling away in the heat, running and walking up the hills, pouring sponges of water over their heads, grabbing snacks and massages at aid stations, slogging their way up the mountain before finally arriving in Sparta to the cheers of the crowd followed by the closing ceremony. After viewing the runners heroic efforts for an hour, she passed on her words of advice to me… ”Make sure you take a nice shirt to wear at the closing ceremony”. Reading Half Marathon – sub 1.30! The Reading Half Marathon took place a week before the Thames Path 100 and I was involved in organising a group of runners who had been supported by our employer. The weather was absolutely awful on the day with heavy rain for the entirety of the event. However, the run itself went well for me as I managed to set a new Personal Best and dip under the 1hr 30min mark with a finish time of 1hr 29mins and 46 seconds. This was clear evidence to me that the odd interval and speed session were having a positive benefit, if only I could be bothered to keep these up on a more regular basis. 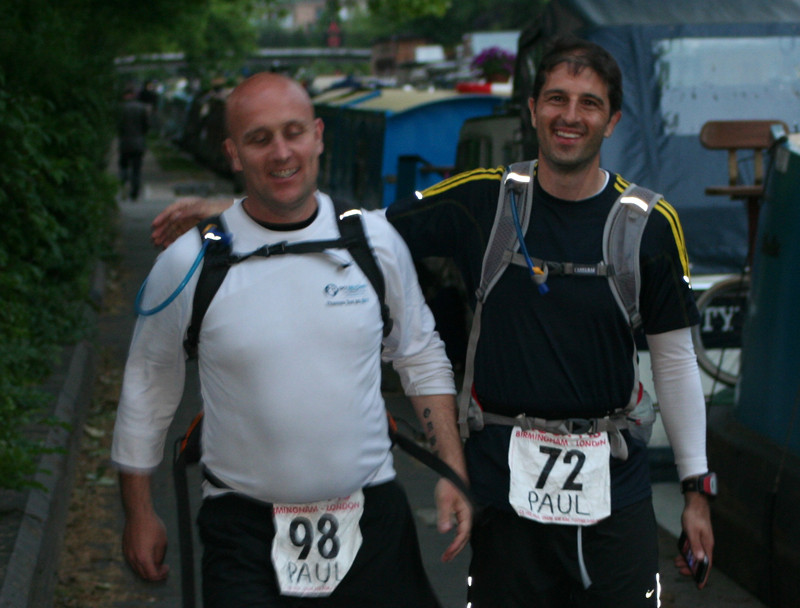 I re-read my race report from the 2012 Thames Path 100 to remind myself of last years race. My tips were firstly, don’t run a 5k Parkrun half an hour before the event and secondly don’t run the Parkrun and the 100 mile race in Fancy Dress! On a serious note, I recall feeling a little jaded and lethargic from the Thames Trot run a few weeks earlier and I had a bit of a midnight meltdown during the race before stomping home the last 20-30 miles in a finish time of 23 ½ hours. My pre-race goals had been a minimum target of a 22hr finish to put me ahead of the Sparta cut-offs for the same sort of distance with my “dream” goal finishing under this and edging closer to a 20hr finish as this was a flat 100 mile course. Unfortunately, the curse of the weather had struck again with freezing cold, wet and sleeting conditions predicted for the race. In addition, heavy rain over the previous weeks and going back towards the end of last year meant some areas along the Thames Path were not passable and a diverted route (an out and back route) was put in place resulting in a modified distance of 104 miles. The extra distance didn’t concern me but practically this would add 40 mins to an 1hr onto my time predicted time. It was a race of two halves for me; I shot off at the start arriving at Checkpoint 1 in an unfamiliar top ten position and then slowed the pace down. I hit a slump around the 30 mile marker got a second wind and arrived at the half way aid station (48 miles) in about 8hrs 30mins where Lindley Chambers had agreed to pace me during the night. 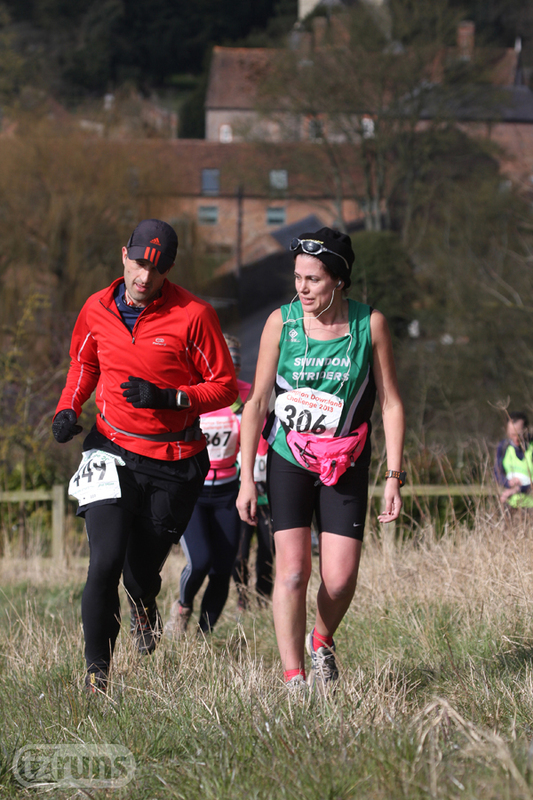 At that point, it was getting dark, still sleeting and the ground conditions in parts were getting more difficult with the muddy sections now totally churned up with the passing of tens of runners in both directions. We flirted with a run/walk for a leg or two but then I settled into a power walk for the rest of the race finishing in 22hrs 30mins. Reflecting on the race, on the positive side I was an hour quicker than last year so some improvement and the extra few miles distance meant it could be considered closer to a 22hr finish. However, these minor gains were overshadowed by my lack of desire to run the second half of the race, I gave into a power walk far too easily and deep down I knew this wasn’t going to cut it in 6 months time. So in all honesty, mixed emotions over this effort. After a few days off I banked a few more runs resulting in my first ever 300 mile month. A Half Marathon and 100 mile Personal Best and a 300 mile month is moving in the right direction but I still have this nagging feeling that it may not be enough and I am not giving this race 100% of my effort. The only niggle is that my groin strain still hadn’t cleared up and I aggravated it again on the TP100 slipping around in the mud although it’s fair to say that it hasn’t impacted my running much. 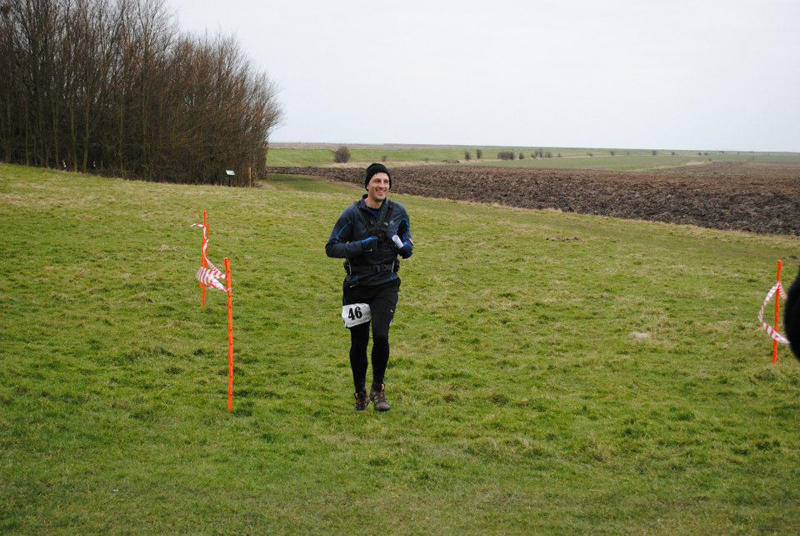 Two weeks after the TP100 I took part in the Compton 40. I had entered this primarily as a long training run and with this only being a couple of weeks after the TP100 I didn’t have any planned goals. 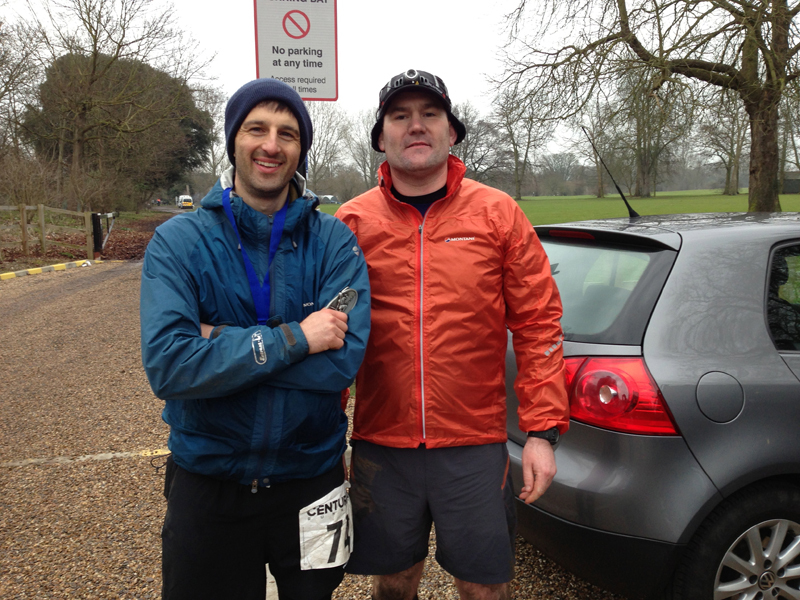 The weather was in complete contrast to the TP100, and despite a cold start the weather ended up lovely and warm. The race was modified due to flooding in one area and resulted in 2 x 20 mile loops. I covered the first leg in 3.15 and then stopped briefly at the half way point to remove some layers before heading out again for the second leg. I hit a slump with about 5 miles to go and felt a little jaded mentally and took the easy excuse of being tired from the TP100 and half walked/half ran the last few miles finishing just under 7 hours with another ling run banked. I bumped into Peter Johnson, Claire Shelley and Drew Sheffield at the race and talk turned to Spartathlon which they have all planned to tackle again this year. The rest of April saw me ticking over with my usual routine of lots of short runs during the week in lunchtimes and running home from work and longer runs on the weekend. Unfortunately, I don’t think I’ve really committed to the “quality” sessions I had planned during the week although I am starting to try and run some steady hill reps on a regular basis but it’s a limited effort and not a very steep hill but something is better than nothing. Therefore a decision was made to book some separate accommodation. Claire Shelley and Mimi Anderson (who is attempting a Spartathlon “Double” this year i.e. there and back) kindly provided some hotel recommendations and I’m now booked in Athens before and after the event as well as a having a room in Sparti about a 5-minute walk from the finish. Flights have also been booked and paid for, just have the small matter of some hard miles up until the event. I enjoy planning my longer races and putting together a spreadsheet of times, paces and distances. It helps me break the race down into manageable segments and provides an indication to crew/pacers where I will be at a certain time. Stuart Shipley had put together a spreadsheet of all Spartathlon Checkpoints into an Excel spreadsheet and once the 2013 race rules and checkpoint times were released I set to work and built a new version aptly names “Shipley v2” which can be found on the British Spartathlon Facebook Page. After plugging some times from my last long race (Thames Path 100) allowing a 1 minute per checkpoint average time and a fast walking pace after 100 miles, the spreadsheet tells me I would be timed out at the Marathon point (with a Checkpoint closing time of 4hrs 5mins at 26.2 miles looking a little tasty when there are still 5 Marathons to go!). Ignoring that slight concern, the spreadsheet tells me I would be timed out at Checkpoint 70. It’s a bit of nonsense really as races and conditions are not comparable but I will be playing around with this spreadsheet a lot more I suspect over the next few months! April saw me complete another 300-mile month so the mileage is ticking along quite nicely as I build my endurance but I need to improve the quality of some of the shorter sessions. The end of May sees me return to the Grand Union Canal Race which I have completed a couple of times in the past in pretty unconvincing times. This year the race has a bit more meaning as it is going to be my benchmark run for Spartathlon (more to do with the distance than conditions/terrain which aren’t really comparable). My aim is to achieve a 32-34 hour goal which would put me just about within Spartathlon cut-offs and would result in a massive improvement from my last effort. In the next article, I will let you know how I get on. 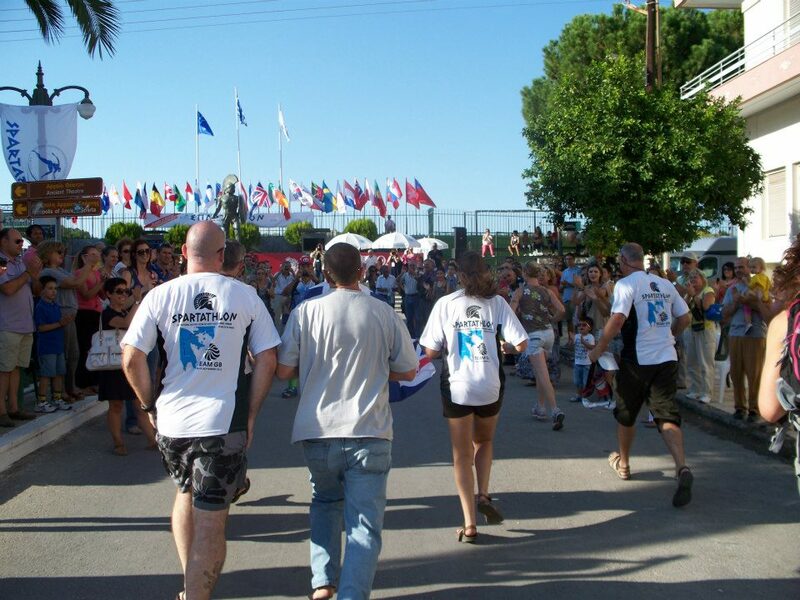 You will notice I have named a few other 2013 Spartathlon runners in this article. We have a group of over 30 British Runners taking part which makes us one of the most well represented countries alongside Japan, Germany and Greece. It will be great to meet up with those people I know and have met before and with others I haven’t yet had the pleasure. Reading this article back, it sounds like I’m being a little too negative in terms of my build up and performance. I’m genuinely excited about the challenge ahead but accept that I’m viewing this race as an outsider and I haven’t experienced the conditions of the event like others who have taken part in the event previously. People have talked about not “getting” the event until they are mid-way through the race. I want to understand what I can now, as I may only have one shot at this. As a final point for this article. I was out running with an unnamed running friend recently and asked the question, “Do you think I can finish the Spartathlon? Give me an honest answer”. To which he replied “No”. I hope to turn this response into a “Maybe” in a few months time. A fighting chance is about the best I’m going to get.